Editor's Note: This is part two of a two-part post by Larry Senn. Part one was posted on Feb. 23rd. Successful mergers and acquisitions must be based primarily on strategic, financial and other objective criteria, but leaders should not lose sight of understanding and heading off the potential clash of cultures that can lead to financial failure. Far too often, cultural and leadership style differences are not considered seriously enough or systematically addressed. A great deal of evidence indicates that the ultimate success of mergers and the amount of time it takes to get them on track is determined by how well the cultural aspects of the transition are managed. Yet executives generally spend quite a bit less of their time focused on this than other aspects of the deal. In reality, there is much more work to be done to convince CEOs involved in these deals to put more time and effort into cultural integration. A Mercer survey two years ago found that many organizations are not well-prepared to effectively manage cultural integration issues. Nearly one quarter of companies were moving towards developing a more formal cultural integration process, but 68 percent still did not regularly use a systematic approach to identify gaps between organizational cultures of the merging companies. Only 37 percent of organizations surveyed had invested in developing leaders with the expertise to understand and lead cultural change. Organizations we have worked with on cultural integration have been able to achieve higher levels of value faster from their transactions. The most notable example of a successful merger was the WellPoint-Anthem mega-merger. Anthem's acquisition of WellPoint made it the largest healthcare management company in America. Larry Glasscock, who was CEO of the acquiring Anthem, became CEO and president of the combined company. Glasscock knew that leaders must quickly and thoroughly address the cultural issues involved in mergers, especially in mergers of equals such as this one. He acted early to minimize uncertainty, align leadership and maximize synergies to ensure that the goals for the merger were realized. He engaged Senn Delaney to help define and support the leadership in building a new, high-performance culture for the new company. Senn Delaney began its culture-shaping work with Glasscock and his executive leadership team by diagnosing the cultures of the merging companies. The team was brought together in a culture-shaping process. They spent time connecting, understanding each other's behavioral styles and working together to define the customer-focused culture and the new strategy. As a result, the company quickly achieved the synergy savings it envisioned from the merger. Here are some key best practices that leadership should use to ensure greater success in a merger or major acquisition. Transition merger teams play a critical role in the success or failure of the newly merged organization. They help establish the new structure and processes, while being a key vehicle in building a new culture. In addition, they give each side their first experience of the ‘other’ company. A fulltime merger integration executive should be appointed immediately whose responsibility is solely the successful operational and cultural integration of the merged organizations. There is always an acquirer and acquiree in a merger, and it is typical for the acquiring company to see themselves as the winners and the acquired company as the losers. Typically, the controlling company wants to impose changes, and people view those in the acquired company as highly resistant to change. It becomes critical for the new senior team to quickly come together as a new, high-performing team, modeling the new organizational culture. These senior executives need to establish the cultural rules of engagement in the new entity as quickly and effectively as possible. They should spend time in a well-designed, facilitated process to consolidate and align the team on the shared values and guiding behaviors for the merged entity. The transition merger integration team should also participate in this process. In a true merger designed to create a new combined entity, the senior teams of each organization need to work together to clarify the new organizational mission, and the shared values or behavioral ground rules by which they are all going to play. In an assimilation acquisition, the acquiring firm needs to have a clear vision, values and guiding behaviors and a process to orient the newly acquired employees. The senior team needs to define the new vision and values quickly, and share them with the merger integration teams. The transition merger integration teams will use the vision and values as their guide in deciding on and implementing changes as well as serving as role models for the new values. Understanding how things are seen in the other cultures, learning mutual respect, and being open to exploring different points of view are the keys to the human factor in any merger or acquisition. If a cultural audit was not done during the due diligence phase of the merger process, then a full analysis of the culture should be conducted immediately within both organizations to identify the areas of similarity and disparity. The data provides empirical data to assist the merger integration team to utilize the best of both organizations and identify areas where behaviors need to shift. It is important to communicate the reasons and benefits of the merger. People may not like it, but if they see that it has a legitimate purpose, and the benefits are obvious, there is less resentment, fewer rumors and employees are more likely to embrace change. Successful mergers only happen when upper managers are visible and accessible to all employees affected by the merger and promote the benefits at all levels. 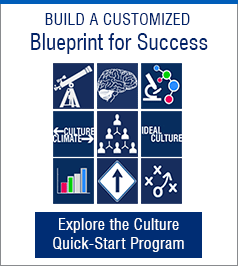 As new teams are created through restructuring and assimilation, they must also be given the opportunity to partake in a customized culture-shaping process. This allows them to let go of the past, focus on the new vision, strategies and values, and learn to know each other as people rather than from the legacy or acquiring company. Have you been involved in a merger where culture was not properly addressed? Did you experience cultural clash? What are some ways you would work to bring two cultures together?